« February 20, 2015 – Brian Will Be Performing Live At Ponte Winery In Temecula! February 22, 2015 – Brian Will Be At South Coast Winery’s Bridal Open House! 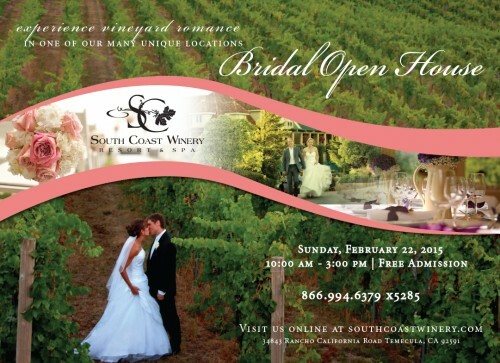 Be sure to head out to South Coast Winery Resort & Spa for their Bridal Open House! Free Event from 10am to 3pm!! **Brian will be there!! Please share this with anyone planning their special day!! Tagged bridal expo, bridal fair, Bridal Open House, bridal vendors, expo, fair, Open House, South Coast Winery, wedding vendors, wedding venue. Bookmark the permalink.